The remains of a big-nosed dinosaur that stalked Earth some 75 million years ago, possibly luring mates with its beauty of a schnozzle, have been discovered in central Utah. The beast's giant nose earned the dinosaur the name Rhinorex condrupus, with the Latin word Rhinorex meaning "king nose." 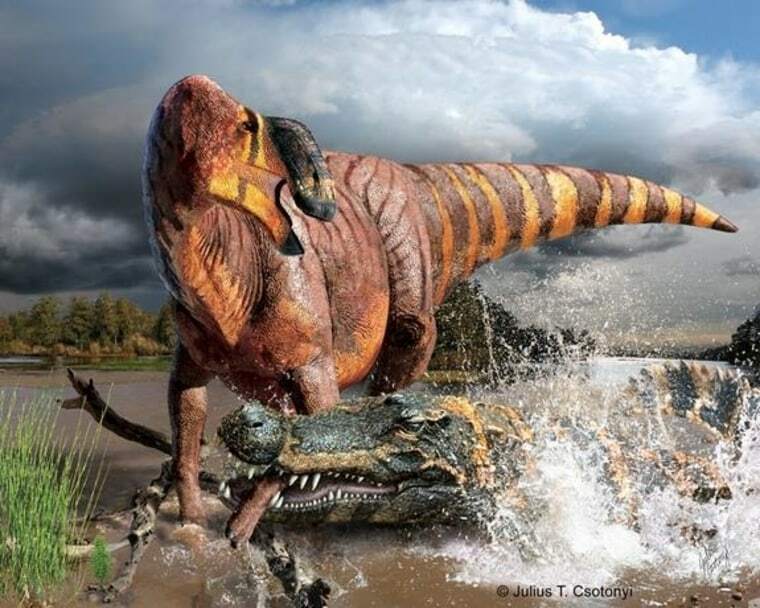 And it surely sported a large sniffer: Rhinorex had the largest nasal opening, relative to its size, of any duck-billed dinosaur, according to Terry Gates, a researcher at North Carolina State University and the North Carolina Museum of Natural Sciences. The plant-eating beast was a hadrosaur, also known as a duck-billed dinosaur. Some hadrosaurs are known for their ornate head crests, which may have been used for communication, but other members of the group, including the big-nosed newbie, were crestless. "Unlike other related duck-billed dinos, a small spur is present on the bottom of the nose bone that makes this region look like a fishing hook with a barb," Gates told LiveScience in an email. "I don't know why it would be there." In addition, a projection that extends from its face bone flares in a different way than it does on other hadrosaurs, she added. Gates and Rodney Sheetz from the Brigham Young Museum of Paleontology spotted the partial skeleton and skull in storage at BYU. The fossils were first uncovered in the 1990s from the Neslen formation in Utah's Book Cliffs, making it the only complete hadrosaur from this locale. The creature was about 30 feet (9 meters) long and weighed more than 8,500 pounds (3,900 kilograms) in life, the researchers said. This is a condensed version of a report from LiveScience. Read the full report. Follow Jeanna Bryner on Twitter and Google+. Follow LiveScience on Twitter, Facebook and Google+.